John T. Heath was said to be born in Texas in 1855 to John and Sarah Heath. While he grew up in Texas, the Heath family moved to Louisiana when he was still fairly young. The Heath family eventually returned to Texas where, in 1875 Heath married Virginia Tennessee “Jennie” Ferrell. 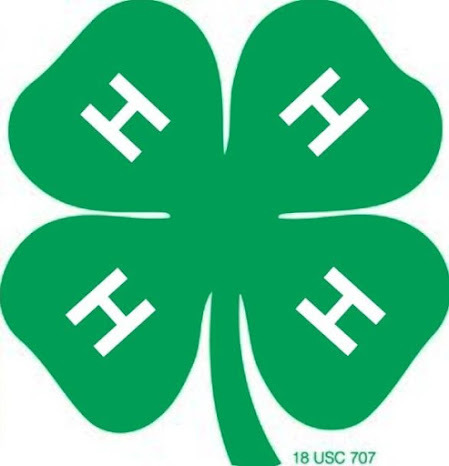 It's said that John T. Heath was indicted for cattle rustling, robbery, burglary, and running a house of prostitution. In 1882, Heath left Texas, settled in Clifton, Arizona, where he opened a saloon. Then in November of 1883, Heath moved to Bisbee with James "Tex" Howard. Along the way, Heath and Howard met some of Howard's friends. They were Dan "Big Dan" Dowd, Omer W. "Red" Sample, and Daniel "York" Kelly. Bisbee didn't have a bank, and it was common knowledge that the Copper Queen Mine's payroll was delivered to the Goldwater & Castaneda Mercantile store one or two days in advance of the company's payday on the 10th of each month. That payroll was in cash. It was $7,000, which is equal to about $200,000 today. So yes, it was a lot of money. Of course back then there was no such thing as stolen payrolls being insured. So besides the miners being unhappy about someone stealing they wages, mine owners knew that a robbery was a hard economic hit to adsorb. And frankly, the mining operations that couldn't take that kind of hit simply shut down and laid off their employees. People today might not understand why things like bank and stage robberies, and of course train robberies, were seen as capital offenses. Because we now live in a world where the Federal Government insures banks, which only started in the mid-1930s, a bank robber is seen as a mere thieve. Before banks and payroll carriers were insured, a robbery could have meant economic disaster for a towns, families, and businesses. Up to the point when the banks became insured by the FDIC, a robbery caught have wiped out someone's entire life's savings. Before the robbery of the Copper Queen Mine's payroll at the Goldwater & Castaneda Mercantile store, Heath is said to have accompanied Howard and the three other men to Buckles' ranch which was about 10 miles outside of Bisbee. While the three others stayed there, Heath and Howard continued on to Bisbee. That was on November 20, 1883. Heath and Waite opened their dance hall located right behind the Goldwater & Castaneda Mercantile general store on December 8, 1883. Yes, the same day the Copper Queen Mine payroll was to arrive. The Letson Loft Hotel located on 26 Main Street today, is where the Goldwater–Castaneda Mercantile Store originally sat. The building is listed in the National Register of Historic Places in July 3, 1980, as part of the Bisbee Historic District. On the evening of December 8th, 1883, the five outlaws rode into Bisbee armed and ready to commit robbery. After they tied their horses up near the Copper Queen Mine smelter at the end of Main Street, they walked to the Goldwater and Castaneda store. At the store, three of the men, including "Tex" Howard, who wasn't wearing a mask, entered the store while the other two remained outside. They drew guns on the store owner and told him to open the safe. Howard and the others were shocked that they had jumped the gun and found the safe empty. No, the payroll had not arrived yet. Angry as can be, the three then decided to take whatever cash was on hand at the store, a watch and other jewelry that was for sale in the store, and whatever the store employees and customers had on them. Some say they stole between $900 and $2,000, or maybe more in cash along with the gold watch and articles of jewelry. 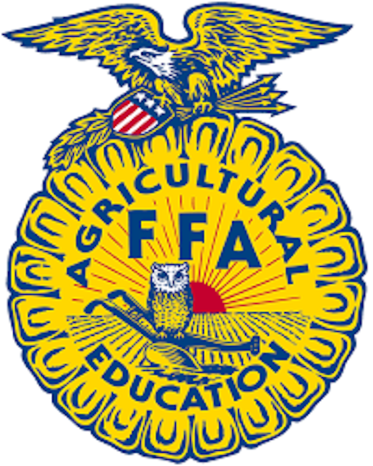 Other accounts say it was more like between $1200 and $2000 that they took. But frankly, no one really knows for sure how much was taken. While the three outlaws were inside robbing the place, the two outside were confronted by citizens who realized that a robbery was in progress. When assayer J. C. Tappenier exited the Bon Ton Saloon next door, they ordered him to go back in. He refused and one of the outlaw used his Winchester rifle to shoot Tappenier in the head. Yes, killing him instantly. Cochise County Deputy Sheriff Tom Smith was having dinner with his wife across the street at the Bisbee House when he heard the shot. He is said to have ran onto the street and ordered the robbers to hand over their guns. The outlaws to him to go back inside. Smith not only refused, but he also told them that he was the law there. Witnesses reported that one of the outlaws said, "Then you are the one we want," and shot him dead. Smith fell beneath a freight wagon dead. 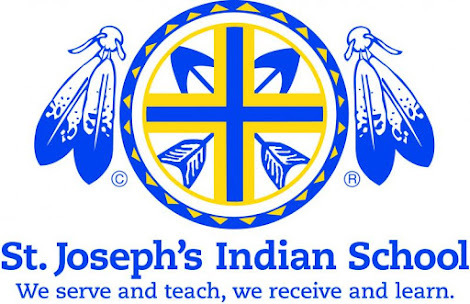 Some of the rounds fire at Smith hit a local man known only as "Indian Joe"in the leg as he was trying to escape the shooting. Mrs. Annie Roberts, who was pregnant, came to the door of the Bisbee House restaurant, which she and her husband owned. The outlaws shot Mrs. Roberts. The outlaw's bullet reportedly shattered her spine, mortally wounding her. Also, a local freighter by the name of John A. Nolly was standing near his wagon when he was shot in the chest. Both Mrs. Roberts and John Nolly died later that night. When the outlaws inside the store heard the shooting outside, they exited and joined the other two who were now also headed up the street to their horses. Yes, they were shooting at anyone they saw at that point. The outlaws grabbed hold of their horses and put their spurs to them as they swiftly rode back up Main Street over Mule Pass and out of town. Someone will surely write to ask why the two outside decided to draw attention to themselves? Well, granted that some outlaws in the Old West used to try to scare the innocent into hiding while making off with the loot. For example, that was a common tactic of the James Gang. But as the James Gang found out in Northfield, Minnesota, that doesn't works if people aren't scared. Many towns rallies their people and fought back against such badmen. Deputy Sheriff William "Billy" Daniels, who had come from his saloon when he heard the shooting, drew his revolver and emptied it at the fleeing outlaws. He is said to have missed hitting any of the five outlaws or their horses. Of course unlike the movies, people shooting in the heat of the moment missed. Yes, even those who used a gun for a living. One citizen jumped on his horse and headed north to Tombstone to notify Cochise County Sheriff Jerome L. Ward. Supposedly he made the 22-mile trip in less than two hours. And ironically, along the way he passed the stage carrying the Copper Queen payroll. Their posse left town, and Deputy Daniels formed a second posse. The second posse took off just after daybreak on the next day, on December 9th. Daniels' posse soon caught up with Heath's posse. While his posse was on the trail of the outlaws, Heath did something that Deputy Daniels thought a bit odd. Supposedly Heath noticed that the outlaws' tracks separated with three horsemen going east and the two others going south. Heath told this to Daniel's, but the Deputy didn't believe Heath. Deputy Daniels didn’t buy it at all. Then when later they had lost the outlaw's tracks completely, Heath, Waite, and Frost followed the southbound tracks and finally lost their trail just outside of Tombstone. 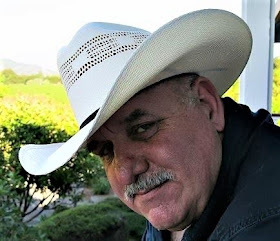 Exhausted, the three men spent the night in town and, after meeting with Under-Sheriff Wallace, because Sheriff Jerome Ward was out of town, they returned to Bisbee. Daniels doggedly followed the other tracks and eventually lost that trail altogether, and returned to Bisbee empty-handed. What Deputy Daniels didn't know was that the outlaws stopped at Soldier's Hole which is east of Bisbee. There they divided the money before heading their separate ways. Daniels and his posse continued the pursuit south and eastward toward the Chiricahua Mountains. Eventually, Daniels tracked the robbers, found their exhausted horses and located a rancher who said the outlaws had stolen five of his horses. Damiels posse continued tracking east, and came upon a prospector who had seen the robbers divvying up the stolen money and goods. The miner told the deputy that he had seen the robbers a week earlier getting instruction from their leader, John Heath. Deputy Daniels immediately turned his posse around and sent them headed back to Bisbee to arrest Heath. Daniels decided that he could continue to pursue the five robbers alone. Through further investigation, Deputy Daniels was able to determine the names of the other four outlaws and more. Daniels also found out that Heath was friends with Howard, and had been seen in the company of the other four outlaws at Buckles' ranch. Heath and Waite were arrested the following day. Waite was released, but Heath was held in jail as a suspected accomplice. At Heath's trial, Deputy Daniels accused Heath of trying to mislead the posse because he was part of the gang. The Copper Queen Mining Company was not an outfit to be trifled with. 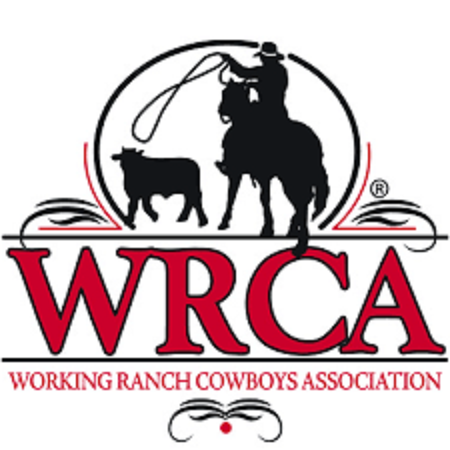 They posted a reward of $2000.00 for the arrest and conviction of the outlaws. They then printed thousands of handbills describing the bandits and the articles they had stolen. Since four of the robbers wore masks, it was at first difficult to trace them. But then again, that wasn't the case with Howard. Because "Tex" Howard had neglected to wear a mask, he was actually identified fairly quickly. The first of the five outlaws to be apprehended was Daniel "York" Kelly. He was caught near Deming, New Mexico. Kelly went there looking for his girlfriend. But unbeknownst to him, his girlfriend had in his absence replaced him with a new lover. Kelly gave his lady the stolen gold watch, an item mentioned on the handbill. Her new lover recognized it and told Deputy Daniels, who then tracked him down and arrested him. "Tex" Howard and "Red" Sample made the mistake of returning to their old stomping grounds in Clifton. While there, Howard and Sample visited a local bartender named Walter Bush. After the two rode out of Clifton, Bush notified the authorities. Once notified, Deputy Daniels formed a posse and when after the two. Within just a matter of a couple of days, both Howard and Sample were captured and in jail. As for Daniel W. Dowd and William E. Delaney, they had traveled to Sonora, Mexico. Deputy Daniels captured Dan Dowd just across the border in Corralitos, Sonora. He apprehended William Delaney with the aid of Deputy Sheriff Robert Hatch in the town of Minas Prietas, Sonora. That's where Delaney had been arrested by the Mexican police after getting in a fight with a local mine foreman. And yes, the Mexican police were glad to hand him over -- especially given the size of the reward for their capture. On February 6th, the Grand Jury "found indictments against Dowd, Kelly, Sample, Howard and Delaney". The men appointed as their legal counsel included James B. Southard, Col. Stanford, Thomas J. Drum, F. V. Price, and Col. William Herring. The trial of the five killers began in Tombstone on February 17th, 1884. The evidence against the men was fairly conclusive. Four of the five of them had been recognized either during the robbery or as they ran from the store. Also, they left a chain of physical and circumstantial evidence linking them to the crime scene. And believe it or not, the trial lasted only three days. After only one hour of deliberation, the jury brought back a verdict of guilty of first-degree murder. On hearing the verdict, Daniel Kelly was reported to have remarked, "Well boys, hemp seems to be trumps". On February 18th, after their motions for a new trial were quashed by Judge Daniel Pinney, the five outlaws were sentenced to be hanged by the neck until they were dead. At his request, John Heath was tried separately on February 12, 1884. He was represented by Colonel William Herring. The prosecutors could not produce a witness who could tie Heath to the robbery. Certainly he had known the outlaws previously, but proving he had conspired with them was definitely a problem for the prosecution. Since that was the case with the prosecution being unable to produce a witness, County Attorney Marcus Aurelius Smith found a prisoner to testify against Heath. Sergeant L. D. Lawrence, of the 3rd Cavalry, had been indicted for killing two men during a saloon brawl in Willcox, Arizona. Lawremce had been in prison with Heath and the others since their arrest. Under oath, Lawrence testifies that he heard Heath and the other outlaws plan the robbery. Lawrence also related how he heard them discuss how and why their robbery plan failed. Heath's attorney questioned Lawrence as to whether he had made a deal with the County Attorney Smith to testify against Heath in exchange for a lighter sentence in his own case. Lawrence swore he had not, but in May of 1884 when he came to trial for the murders of the two men in Wilcox, he was represented by Smith's private law firm and tried before Judge Pinney. When Heath was tried for his role in the robbery, Deputy Daniels accused Heath of trying to mislead the posse. Heath was later convicted of arranging for outlaws Daniel "Big Dan" Dowd, Omer W. "Red" Sample, Daniel "York" Kelly, William E. "Billy" Delaney, and James "Tex" Howard to rob the store and payroll. Heath was convicted, but his conviction took some doing. The jury was split over the verdict. Some called for his conviction while some called for his acquittal. Finally, the jury settled on a "compromise verdict" and convicted Heath of second-degree murder. With that, Judge Pinney sentenced him to life at the Yuma Territorial Prison. Heath believed that he was to be spared a hanging. Of course that did not stop a citizen's vigilance committee from getting taking Heath from the jail and hanging him on February 22nd, 1884. 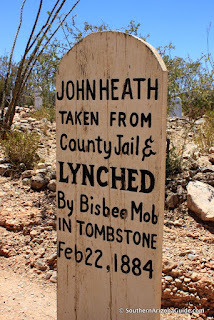 Tombstone only had a few "legal" hangings in its time, and of course there was the lynching of John Heath in 1884. The hanging of Health stems from the fact that a lot of the men of Cochise County were not satisfied with the verdict in the case. And as was done at the time, they took matters into their own hands. 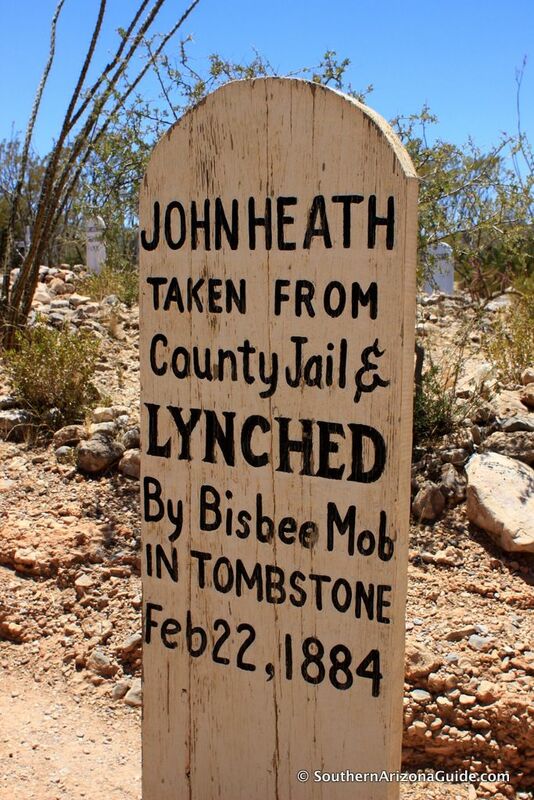 On February 22nd, 1884, a very large group of concerned citizens, which some called a lynch mob, of anywhere from 100 to 150 men, broke into the county jail in the bottom of the Tombstone Courthouse, where Heath was being held awaiting his appeal in the case. After disarming the guards, the citizens took Heath at gunpoint from the jail. They actually left his five convicted associates unharmed because they were awaiting their executions in March. As the citizens exited the courthouse with the prisoner, Sheriff Ward attempted to intervene. He was physically tossed aside. The thirst of a citizens being what it was, they took Heath down Toughnut Street and hanged him from a telegraph pole at the corner of First and Toughnut streets. Heath's last words were: "Boys, you are hanging an innocent man, and you will find it out before those other men are hung. I have one favor to ask, that you will not mutilate my body by shooting into it after I am hung." His executioners agreed. Heath was then blindfolded and the noose was placed around his neck. The vigilantes then pulled the rope until Heath was suspended beneath the pole, where he slowly strangled to death. The lynching of John Heath on February 22, 1884. So yes, John Heath was accused of organizing the robbery and was tried separately and sentenced to life in prison. But citizens were unsatisfied with what they perceived as a lenient sentence, especially since Mrs. Annie Roberts who was pregnant was shot down in cold blooded murder. So they removed him from jail and hanged him for his crimes. Photographer C.S. Fly took this famous picture. As most Old West history buffs know, in 1881, C.S. Fly was also a witness to the now famous gunfight near the O.K. Corral. The gunfight actually took place in the small vacant lot right outside his photography studio. On October 26, 1881, during the gunfight at the O.K. Corral which occurred in the alley adjacent to his boarding house, Cochise County Sheriff John Behan took cover inside the boarding house and watched the gun battle play out. Behan was joined by Ike Clanton who ran away from the gunfight, supposedly after telling the Earps that he was unarmed. Believe it or not, Fly, armed with a Henry rifle, ran out to disarm Billy Clanton as he lay dying against the house next door. It is probably not really known, but Fly was actually responsible for taking the photograph of Geronimo before he surrendered. And as for as another bit of trivia, C.S. Fly also served as Cochise County Sheriff from 1895 to 1897. 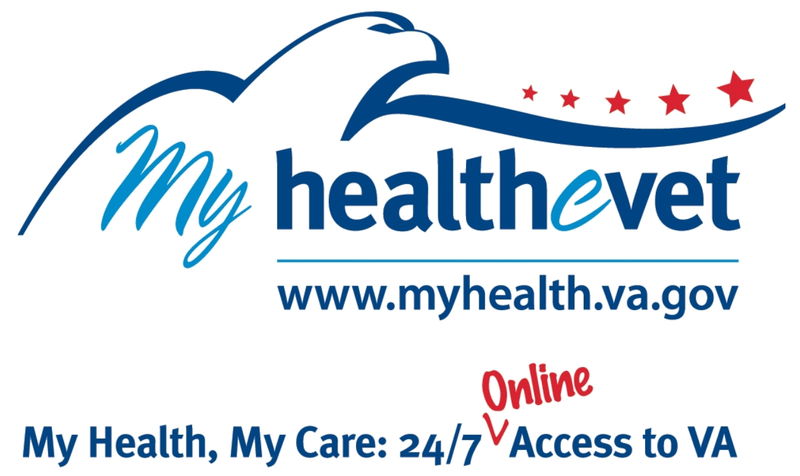 "We the undersigned, a jury of inquest, find that John Heath came to his death from emphysema of the lungs -- a disease common in high altitudes -- which might have been caused by strangulation, self-inflicted or otherwise". Yes, the official record shows that Heath died from emphysema and self-inflicted strangulation. So who says they didn't have a sense of humor back in the day. And while a grave marker for John Heath is erected at Tombstone's Boothill Graveyard, records document that his body was returned to his family in Terrell, Texas. There he was buried at the Oakland Cemetery in an unmarked grave. The alleged grave of John Heath at the Boothill Graveyard, Tombstone, Arizona. The lynching at Tombstone was covered nationally, reported by the New York Times and the Chicago Tribune as well as by western newspapers. "Arriving at the place selected for the hanging one of the party climbed a telegraph pole and passed the rope over the cross-bar. Heath pulled a handkerchief from his pocket and, placing it on his knee, coolly and deliberately folded it, and, placing it over his eyes, asked someone in the crowd to tie it." As noted above, he declared his innocence. But to make sure that he was dead, the citizens left Heath "hanging for half an hour, when he was cut down". After his death, John T. Heath was described as "a notorious gambler, burglar, horse and cattle thief" by The Kaufman Sun (Terrell, Texas) on February 28, 1884. And after the trial and conviction of the five bandits, residents celebrated the day of their execution in March 1884. Sheriff Ward sent out invitations to a select number of people to view the hanging. In addition, a local businessman erected a grandstand of his own outside the jail yard and began selling tickets at $1.50 per seat. Disgusted when learning of these plans, Nellie Cashman, a local philanthropist, protested to Sheriff Ward, before chopping up the grandstand with friends the day before the executions. During this row, seven persons were injured, one breaking a leg and another an arm. According to the Tombstone Epitaph more than 1,000 people witnessed the hangings of the five. A special gallows had been built for the occasion -- one which could accommodate all five of the outlaws. On March 28th, 1884, the five killers, Red Sample, Bill Delaney, Dan Kelly, Dan Dowd, and Tex Howard, were waken for their legal hanging. On the morning of their execution, they were shaved and dressed in matching black suits. Sheriff Ward allowed them to walk unfettered to the gibbet and to wear their hats. Once on the platform, the men were bound again. Each of the bandits protested his innocence and that of Heath, who had been lynched a month earlier. Having converted to Catholicism during their tenure in the county jail, the outlaws asked for their bodies to be delivered to the local Roman Catholic priest, Father Gallagher. Their hats were then taken from them and black hoods pulled down over their heads. The nooses were subsequently adjusted around their necks. It was then that Daniel "York" Kelly, his voice muffled by the hood which covered his features, said, "Let her go!" 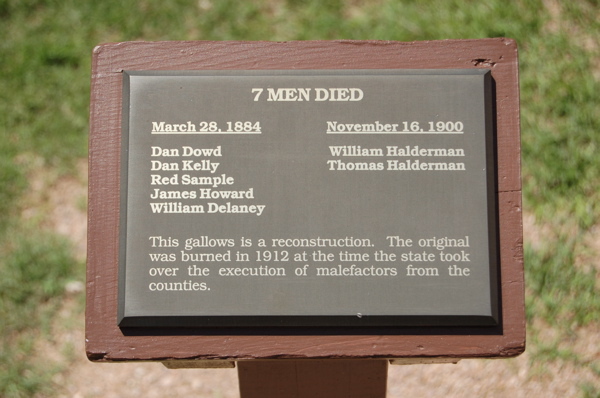 On March 28, 1884, at 1:18 p.m. James "Tex" Howard, Dan "Big Dan" Dowd, William Delaney (or DeLaney), Omer W. "Red" Sample, and Kelly were executed. They were dropped together and, except for Dowd, died quickly. Dowd's body was seen to twitch and jerk for several minutes as he strangled to death. The bodies of the Bisbee bandits were allowed to hang there in the early spring air for a full half hour before they were officially pronounced to be dead. Then, at 1:45 in the afternoon, the corpses were cut down and "placed in neat but plain coffins." They were then sent to the city morgue where they were each identified in turn by Father Gallagher. Learning that a medical school intended to exhume the bandits' corpses for research, Nellie Cashman intervened by hiring two miners to guard the graves of the bandits for ten days. A joint gravestone marks the graves of the five legally executed bandits, which can still be seen in Tombstone. Boothill Graveyard marker for the five outlaws who committed the Bisbee Massacre. Today this plaque sits at the Tombstone Courthouse State Historic Park listing the names of the men legally hanged in Tombstone. The graves of the five bandits are a popular tourist attraction at Tombstone's Boothill Graveyard today.